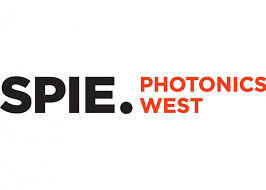 Last week RPMC Lasers, was proud to show our support for the photonics community once again by exhibiting this year at SPIE’s Photonics West conferences in San Francisco. It was a great event this year, especially with the completion of the recent multi-year remodeling project. At the show, we were able to meet with many of our long-term customers and strategic partners, in addition to many new faces. With so much going on at the conference each year, it can often be a challenge to stay on top of all of the latest developments presented at the meeting. Because of this, and for the people who were not able to attend, we have decided to write up some of the highlights that we thought would be of the most significant interest to our customers. This blog summarizes the highlights from the Show Daily. If you would like you can find the full text, of the source material at http://optics.org/showdaily/. To kick off the conference at the BiOS Plenary Session Sunday evening, recent Nobel laureate Donna Strickland, not only talked about her seminal research in chirped-pulse amplitude lasers but also went on to talk about her life story and how it lead her to where she is today. Additionally, this year’s BiOS Hot Topics session included two applications on which we have perversely blogged about, multiphoton microscopy and photoacoustic imaging. In this session Daniel Razansky of the University of Zurich was quoted as saying “This may presently sound like an exaggeration, but I truly believe multispectral optoacoustic tomography (MSOT) and other related methods will soon be routinely used in the clinic, one day becoming as popular as ultrasound,” which is an ideal application for tunable OPO laser sources. Chris Xu from Cornell University also said “[Multiphoton Microscopy] MPM is the go-to technique for high spatial resolution, deep imaging in scattering biological tissue,” just as we discussed in our whitepaper on the subject. Some of the other highlights from BiOS included new developments in therapeutics, diagnostics, and laser-tissue interaction. This year the role of lasers in everyday consumer technology was very evident. On Sunday SLD Laser presented their new laser headlight technology being developed by BMW to a packed room, where they explained how laser headlights are capable of producing “10 to 15 times the luminance of previous LED lights.” Even Facebook was represented at the conference when Katharine Schmidtke discussed the importance of laser technology in their data centers, particularly with regards to massive bandwidth demands of augmented and virtual reality. Additionally, there was a wide assortment of quantum computing talks this year, which is laying the groundwork for future consumer devices. Lastly, on Wednesday evening at the prism awards, several novel laser technologies for consumer products including eye-wear for direct laser retinal projection and a frequency modulated doppler LIDAR system for self-driving cars. On the exhibit floor last week, in addition to the full range of interesting product and application questions the visitors to our booth discussed, we were blown away by the positive feedback on our newsletter. In response to your positive feedback this year we are committing to the goal of increasing the frequency of our laser fundamentals blogs and our industry news blogs in addition to our usual product and application focused posts. Here at RPMC, it is a top priority for us to be able to continue to provide the community with the latest laser technology, industry, product, and application news which can all be found in our knowledge center. For help in choosing which laser is best for your application, visit our applications page or talk to one of our laser experts today by calling 1-636-272-7227.